Answering Muslims: What Is Taqiyya? Taqiyya (also spelled taqiya, taqiyah, or taqiyyah) is a form of Islamic deception. The Quran (16:106 and 3:28) allows Muslims to lie in order to protect themselves or to protect the Muslim community. Protecting the Muslim community, however, involves lying about jihad and portraying Islam as a religion of peace. "Critics of Islam are often ridiculed because they tend to conflate the doctrine of taqiyya with that of lying in general, leading to the mislabelling of all forms of religious lying as an example of "taqiyya". However, taqiyya forms only a single aspect of lying within Islam, not the entirety of the subject itself. " It seems wikiislam.net may be wrong on this. "The best analysis of it I have seen is by Imam Abu Hamid Ghazali, who says: "Speaking is a means to achieve objectives. If a praiseworthy aim is attainable through both telling the truth and lying, it is unlawful to accomplish through lying because there is no need for it. When it is possible to achieve such an aim by lying but not by telling the truth, it is permissible to lie if attaining the goal is permissible (N: i.e. when the purpose of lying is to circumvent someone who is preventing one from doing something permissible), and obligatory to lie if the goal is obligatory." I didn't say it refers to lying in general. I said it refers to lying for the purpose of protecting oneself or protecting the Muslim community. That's straight from the Qur'an. "A smile is just a frown turned UPSIDE down, my friend"
David, how do you deal with a muslim who is always dodging the reality of Islam, even when you point out justifications in the quran? I have an Arab muslim friend who clearly exhibits taqiyya even though she is not orthodox and enjoys the freedoms of this country. It's quite disturbing! How can you have true friendship with people who are pathological liars? Don't know if this is a form of Taqiyya or an honest and truthful response to my question to a Muslim. Knowing about Surah 9 and the Doctrine of Abrogation, I asked a Muslim to show me in the Qur'an where he is commanded to have peace with me (a nonbeliever). He responded with 25-63. And I have been unable so far to find a response to his answer. Some answers I have received suggest that 25-63 refers only to believers, but my search reveals that 25-63 is focused on what believers say to ignorant unbelievers. Do you have any chapters and verses that may help me confront this problem? Thank you. I'm shocked we haven't seen Osama Abdullah here. Have you banned him David? Patrick, please allow me to share my thoughts and perhaps you'd like to share the findings of your studies with the rest of the brothers and sisters here too. As with discussions such as this where someone picks a verse from the Quran or in fact from the Bible, it is probably best to read the whole chapter where the passage is from and since you mentioned also abrogation, this would make things easier. If it were me, I would refer to the whole al-Furqan, the chapter you are referring to. Verse 7 says that the unbelievers question why does the apostle eat and drink? Christians have no problems with apostles who eat and drink, in fact, Jesus who is God in the flesh, ate and drink. Buddha ate and drink. Hmm...so I don't know where the writer is getting this from. Verse 31 says that every prophet is an enemy among the sinners, meaning us the non-Muslims. Verse 52 commands believers to strive with "utmost strenuousness" against unbelievers with the Quran. I suppose that is why terrorists recite verses from the Quran in their acts of terror. Verse 63, as you pointed out, tells Muslims to say "Peace!" when addressed by unbelievers. I have many Muslim friends who do not say "Peace!" or "salam" to me when we talk, but they shake my hand and act in peace. I'd rather they remain that way instead of saying "Peace!" verbally but then trying to kill me (is this another form of Taqqiya?). And if we are aware of the doctrine of abrogation, then it makes me wonder about something when I read Surah 9:5. Did the Muslims say "Peace!" to the unbelievers and then proceed to "slay all the idolaters wherever they found them"? I feel you already have a reply to your friend. Surah 9, and in general the Medinan verses, have abrogated the earlier Meccan ones. I have found it useful too to always check the chronology of the Quran whenever I come across two verses with conflicting commands, but that I do know Surah 9 is the last major one. Just my two cents, many thanks. @Gazza: I suspect he's just lying low because of how he keeps getting called out on old lies about the bible (e.g. mis-characterizations of 1 Chron 5:5) every time he shows up. It does seem longer than normal, so maybe he just gave up. As I do my research about islam and am continuous student of history. I've come to the conclusion about those "westernized" muslims versus those muslims in the middle east. "Westernized" muslims are the MECCAN muslims who only know of the peaceful side of islam as they always refer to 5:33 and hardly know anything else about islam. The rest of the muslims are the MEDINA muslims who actually practice what their "prophet" did in Medina and they refer to the verse of the sword as they actually carry it out! I've seen Ayaan Hirsi Ali make the "Meccan Muslim"/"Medinan Muslim" distinction, but it doesn't work. When Muhammad was still in Mecca, he was trying to raise an army in order to conquer Arabia. So even when Muhammad was in Mecca, his intentions were violent. Westernized Muslims aren't like this. They have no clue what Islam teaches, and they have non-Islamic values. Because of this doctrine, we will never know who are against us and who are. Now that they're in our system, it's very scary that one day, we have nothing to hide from them and they will strike from within like viruses in a body. I suspect politicians in general of not making the effort of reading the Koran and making the fatal mistake of assuming it is just another religious book just like the Bible, the Book of Mormon, etc. 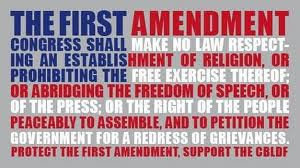 In the case of Muslims who hold political positions, I think is unlikely they are unaware of the content of the Koran, especially if they address issues pertaining to Islam. That sounds good, but Mr. Aboutaleb also says he is a devout Muslim and I did not hear him explain what this actually means. He is an intelligent man and with a large Muslim population in Rotterdam he would be a fool not to read Islams religious texts. Of course he knows what is in the Koran. I never heard him say something like there is a problem with a book that claims to be the word of Allah himself and is written for a large part in the imperative; if one actually does what Allah commands and one is put in the same dock as the Nazi criminals at Nuremberg, one will be convicted on all four counts of the indictment and hanged like Keitel, Jodl and von Ribbentrop to name a few. Mr. Aboutaleb must be aware there is a problem, but I never heard him say anything about it. Is this a form of taqiyya? Did he say to Muslims you can leave when you don't like freedom, but really meant they should shut up because they are not yet strong enough to enforce Islam in the Netherlands? I don't trust him or other Muslim politicians. I never heard one say anything like certain aspects of Islam are causing trouble. They always talk about discrimination, cultural identity, poverty, etc. as the cause of problems, never as a result of the failure of Muslims to integrate into society. They never point to Islam as a probable cause of Muslim immigrants failure and unwillingness to integrate. "Under certain circumstances...". 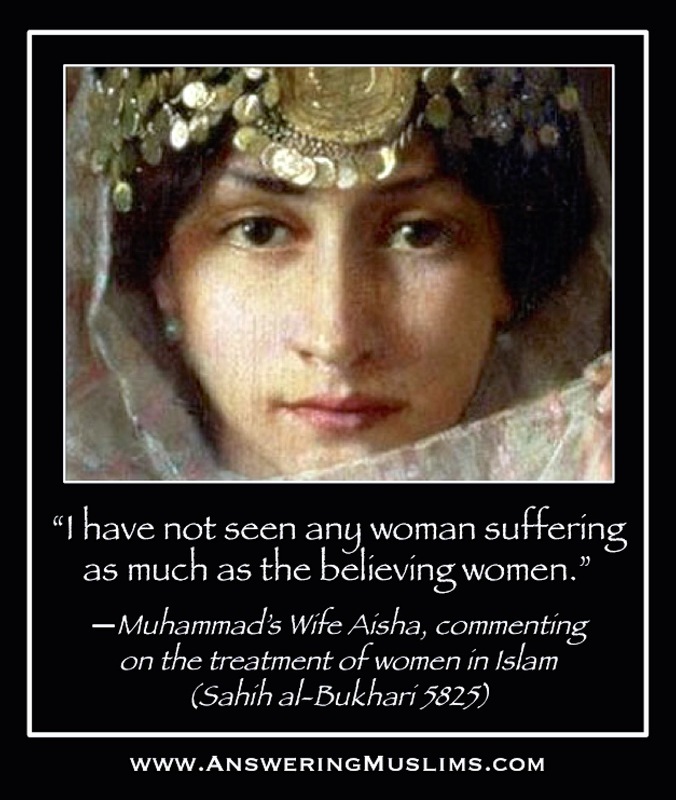 I wonder how many times a day Islamic scholars say those words, or Muslim enquirers hear it? ► IN CANADA: "Damian Clairmont CONVERT TO ISLAM Dies Waging Jihad In Syria with an al-Qaeda-linked Group Jabhat al-Nusra". ► IN FRANCE: "Nicolas Bons was raised as an atheist. After he CONVERTED TO ISLAM, he became increasingly violent, and he died Fighting in a Terrorist attack in Syria". ► IN UNITED STATES: "Terry Lee Loewen, CONVERT TO ISLAM was charged for plotting a Suicide Bombing at a passenger terminal at the Wichita Mid-Continent Airport in Kansas". ►IN OKLAHOMA, UNITED STATES: "Alton Nolen CONVERT TO ISLAM and then began preaching the message of Muhammad to his co-workers. After he was fired, he decided to go on a Killing Spree, Beheading One Woman and injuring another before being shot by the police". ► IN GERMANY: "A young German who CONVERT TO ISLAM "Abu Osama," a name he picked because he "loved Osama bin Laden," and former player on the German national soccer team was killed after he joined a Sunni Islamic Group to Fight Jihad in Syria". He was exhorting Muslims worldwide to join the Jihad Fight in Syria and establish a Caliphate to impose Islamic law on the entire globe. Abu Osama then calls for global jihad, saying "my brothers and sisters, come to...Fight in Jihad, since Jihad is an active commandment on every Muslim. 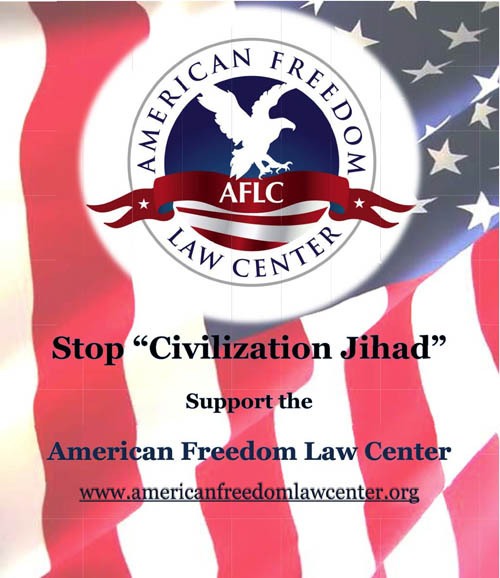 ...Donate Money (to Jihad)." The German convert closes saying "we love death and we will win here." ► IN UNITED KINGDOM: "Samantha Lewthwaite CONVERT TO ISLAM After marrying a Terrorist Group Member became herself an alleged member of the Somalia-based Radical Islamic Jihadist (Militant) Terrorist Group Al-Shabaab. She has been accused of orchestrating grenade attacks at non-Muslim places of worship and other atrocities". ► IN CANADA: "William Plotnikov, CONVERTED TO ISLAM joined a Terrorist Group: “Caucasian Emirate” in Dagestan (Russia) and he died fighting against Russian government forces!" ► IN UNITED STATES: "Christopher Lee Cornell, CONVERTED TO ISLAM was arrested for plotting an ISIS-inspired Massive Attack (Suicide bomb, etc.) on the U.S. Capitol sent shockwaves across the country"
El Khalifi is another lone wolf who was stopped by the FBI. Pleaded guilty and was sentenced to 30 years in prison. ► IN UNITED STATES: "Elton Simpson CONVERTED TO ISLAM Dies In A Police Shootout While Attempting To Massacre Over 100+ People At A Draw Muhammad Free Speech Event In Garland, Texas!" ► IN AUSTRALIA: "Jasmina Milovanov CONVERTED TO ISLAM Leaves Children to Join An Islamic Terrorist Group ISIS In Syria. Jasmina Milovanov, 26, abandoned her two children, aged five and seven, with a babysitter earlier this month before telling friends she was in “Sham” — Arabic slang for Syria". ► IN GERMANY: "Twin Brothers Kevin and Mark CONVERTED TO ISLAM, Join ISIS, Die in Suicide Attacks in Iraq. One of the two brothers died in a suicide bombing in April, the magazine 'Dabiq' reports". Known within the organisation as Abu Mus'ab al-Almani - father of Mus'ab, the German - the 25-year-old is reported to have driven a truck containing seven tonnes of explosives into the headquarters of the 4th Regiment of the Iraqi army in Wilayat Shamal, northwest of Baghdad. The magazine reports that the subsequent explosion completely destroyed the command centre building. ► IN CANADA (BRITISH COLUMBIA: "John Nuttall and Amanda Korody CONVERTED TO ISLAM, Were Find Guilty Of Conspiracy To Commit Mass Murder And Possession Of An Explosive Substance On Behalf Of A Terrorist Group". A Surrey couple has been convicted of plotting to detonate bombs at the legislature in Victoria on Canada Day 2013. I cannot agree more with David's idea that Westernised Muslims, or what I would also call "moderate" Muslims, do not know much about Islam and that because they do not hold to Islamic values (though they most of the time think they are, e.g. they can read Quran 2:256 and think it upholds religious tolerance - which it probably did, until Muhammad himself messed it up with the Meccans), they are genuinely peaceful. But I also understand Red Bee's concern. How do I know this guy isn't studying the Quran to its core and he is just waiting to wage offensive Jihad? After all, that was how Quran 2:256 itself came about, wasn't it? I have lived and still am living among Muslims for decades now, and while there is rapidly growing concern about Islamic terrorism, most Muslims here are genuinely peaceful. I do not doubt their sincerity in this area. However, that could be because most of the Muslim population here are born into Islam and are not converts. I don't have the statistics but I'd say that most converts to any religion either do so by marriage or because they have carried out some prior studies of that particular religion and it hit a chord. Also, I feel how prevalent is reading a habit among the population could also be a factor. I again presume that reading is more prevalent in Western (and Japanese/Korean) societies than it is where I live, and because the reading habit is not well cultivated among the population where I am, there is much ignorance towards what Islam really teaches. There are prominent Westernised/moderate Muslims here (including politicians of course) who write articles and visit churches to tell the public that Islam does not promote violence. But most of the time, they did not include quotes or they would quote Quran 2:256 or 109:6 to justify their position. It sounds good to Muslims and non-Muslims alike, but then no one would be aware of Quran 8:12, or Quran 4:95, or Surah 9! Or the rope that ties all this together, Quran 2:106. There was a potential IS member who was recently caught by the authorities. On his Facebook page he wrote a reminder to Muslims that they must remember Al-Anfal 12 and At-Taubah. I received no response when I brought this up to the local papers. Some friends tell me they would really love to visit London with me. Londoners are readers. Having lived there I love the city, but these days I share Red Bee's concern. I'd rather stay safe among ignorant-of-Islam Muslims, than to visit a "Westernised" city but whose minority Muslim population know a whole LOT more about real Islam. Roman goon: Peter of Galilee, I comand you to offer sacrifices to Jupiter!!! Or else, I can send you to the coliseum to be eaten by lions or to be crucified upside down!!! Peter of Galilee: Yes sir, Jupiter is the highest god of the universe, where do I put the incense again? Especially in the USA, what needs is attention to the POLITICAL goals of Islam. It is very interesting that in the US, muSlimes are so EAGER to push the "religious" side of their way of life. 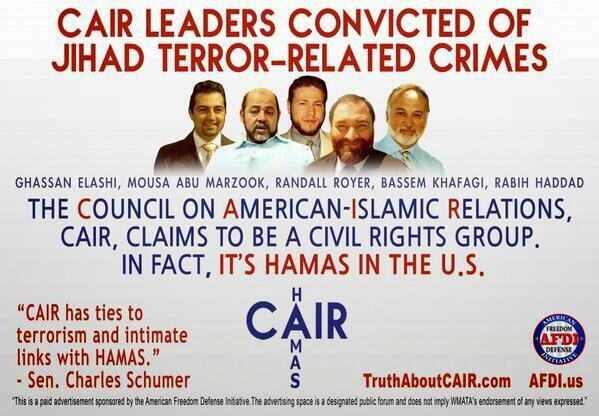 Yet cair is very busy in spreading the demands for Shara, stiffling any efforts to keep Islamic laws out of the court, as foreing law, incompatiple with the US constitution. My religion demands that I veil the face. Well one could point out: My religion of Islam DEMANDS the building of the ISLAMIC STATE Caliphate. My religion of Islam demands the eradication of all non-Islamic form of governments and political systems. My religion of Islam demands that prior to the DAY of Judgment the ISLAMIC STATE and its government and laws are established, that Islam is the only religion on earth. Taqiya is pretending to be of a faith which you are not when threatened with death. It happened a lot in Spain under Ferdinand and Isabella the Catholics of the Spanish Inquisition. Mostly Jews but some Muslims practiced Taqiya. The Jews who did it were called Conversos. They pretended to convert to Catholisism but secretly carried on practicing Judaism. The Muslim version were called Morriscos. If people want to talk about Taqiya they should talk about the Jewish conversos rather than Muslims because there is way more information on Jews practicing Taqiya than the Muslims. Taqiya was also practiced by many Christians. They were under threat of death to convert to Catholisism in middle ages Europe. Mosty Muslims actually didn't practice Taqiya. They refused to change religion and fought the ones trying to forve them to convert. Their faith was stronger obviously than the Jews who were under the same pressure to convert. You've written to give your own historical perspective and then finished with the line revealing a lack of historical knowledge and depth of understanding. "Most Muslims actually didn't practice Taqiya. They refused to change religion and fought the ones trying to forve them to convert. Their faith was stronger obviously than the Jews who were under the same pressure to convert." You make an assertion that the strength's of one's faith is determined by whether or not one is prepared to kill others to maintain one's faith. While this may be your belief, it has led you very astray and certainly reveals that you no little of either the beliefs that are Christianity or Judaism. Further, as this is your assertion, then you must also consider any faith that has been persecuted and has refused to respond with equal persecution, a weaker faith to the one trying to destroy it. That the Muslims fought back, is not because their faith was stronger but because their theology was radically different from those of the Jewish community. "Fighting back" is rarely a bench march in any society of strength or conviction, and in many more, is a sign of a faith that is weak (unless of course you're opposed to the ideologies of people such as Martin Luther King Jnr.). In terms of 'how do we know what someone is up to', I'm reminded about how terrorism works. It works by creating psychological uncertainties of physical realities. Really good terrorists know that fear and suspicion are essential tools in their work. 'Taqiyya' can be a tool for terrorism also, not only because it allows Muslims to lie, but because it allows us to become fearful. When we move into a defensive position, wondering what 'might' happen, or what someone is planning, we are rarely seeing the opportunities for us to advance. Taqiyya has no answers, however, for spiritual discernment. It gets duped every time it comes up against a Christian who simply listens to God. It doesn't mean we shouldn't be aware of it, but it does means that we shouldn't be afraid of it.